Erma Grimmel is a partner with KBST&M and has fourteen years of public accounting experience. Erma’s areas of concentration are in auditing, accounting services, and management advisory services (internal control). She serves many clients in various industries, including non-profit, real estate, and professional services. “Starting at a very young age, I always liked to fill out forms, make lists and complete checklists. In elementary school everyone always said I would make a good accountant, so I took Accounting in high school and loved it. I love working with people, both clients and co-workers. Everyone thinks that in the accounting field you do nothing but stare at numbers all day, which couldn’t be farther from the truth. I enjoy that my clients are all unique. You get to interact with and learn about a lot of types of businesses and people, who each have their own unique business challenges. Helping them through those challenges is satisfying. Also, working with many non-profit organizations, it feels good to know that you have helped the greater community. Erma is a native of the Eastern Shore of Maryland and currently lives in Howard County, MD with her husband and two children. Outside of work, she enjoys the beach, yoga, and spending time with family and friends. 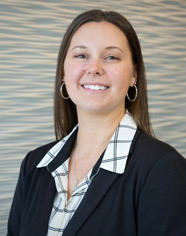 Erma holds a Bachelor of Science degree in Business Administration from Salisbury University majoring in accounting and finance with a concentration in corporate finance. Majoring in Accounting and Finance with a concentration in Corporate Finance.